Academic writing is challenging no matter which degree you pursue. You can be in high-school and get stuck with lab reports, you can be in college and struggle with argumentative papers, you may feel sick of crafting one admission essay after another or spend nights over research proposal for a master’s thesis. Nothing is simple, and it is only logical to look for ways to make academic writing easier and more efficient. Fortunately, there are websites you can use to improve both your skills and your grades. Let’s take a closer look. Of course, not all of them will be relevant to your particular situation right now, but it is a good idea to save this page to bookmarks and come back to it when you get stuck with another academic writing assignment. Grammar Checker: Grammarly.com. Grammarly is the first website to address when it comes to checking your paper properly. It is better to use a paid version as it can spot a maximum amount of mistakes and technical omissions. It can also emphasize style mistakes and offer better options for a particular sentence. Even the free version is very efficient. It also shows your performance. You can set goals and see how you achieve them. Such websites help you to see your most common mistakes and essay writing problems and deal with them. Using Grammarly for about half a year, you will significantly increase your essay writing performance. Citation Generators: Choose Any. There are dozens of citation generators, and we won’t list them. Such services are free and easy to use. You should pay attention to two fundamental criteria. First, citation generator you are planning to use should support the latest updates of the needed citations style. Second, it should be able to create citations based on ISBN code – it will truly save you lots of time. Citation generators create both in-text citations and bibliography entries. They work on similar platforms, so just choose the one that is more convenient to use among those answering the previously mentioned criteria. Anti-Plagiarism Checkers: Use Several. It is better to use several sophisticated plagiarism checkers to be absolutely sure your academic essay is 100% unique. Even if you know that you’ve written your paper based on original sources, from scratch, not copying anything, you should use those checkers. Technical plagiarism often becomes a source of trouble for students as there are many similar works, written based on the same sources in the academic system. Essay Writing Company: CheapWritingHelp.com. 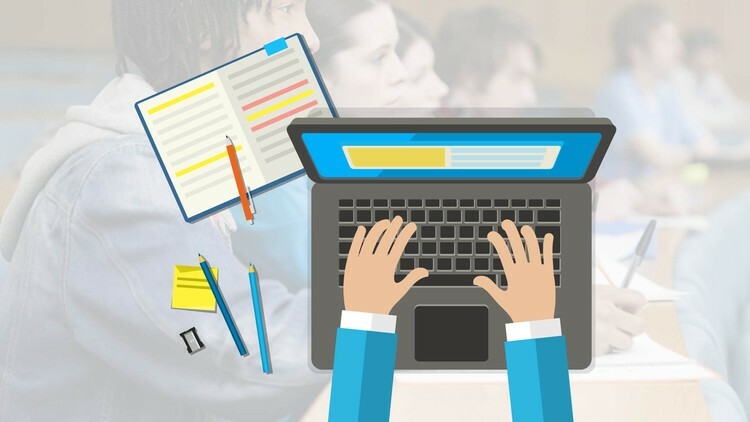 If you are looking for someone professional to write your particularly complicated essay, you should consider addressing CheapWritingHelp – one of the cheapest paper writing services on the market. This company is famous for its reliability and hardworking expert writers. The prices are affordable, and they can handle writing essays overnight. Of course, to pay less and to feel more relaxed it is better to order your essays and other academic papers in advance. When placing an order, make sure to mention all the available information related to the particular assignment. Addressing this service, you are entitled to a set of guarantees, such as Timely-Delivery Guarantee, Plagiarism-Free Guarantee, Free Revisions Guarantee, Confidentiality Guarantee, etc. If you have any questions, don’t hesitate to address a support team member to help you out. You can get freebies (free title page, outline, abstract page, bibliography) and take part in the advantageous discount program. Tutors and Editors: Fiverr.com. Fiverr website is popular for its very engaging pricing policy. One unit of work should not cost more than 5 dollars. Of course, a professional editor will not edit your essay for $5, but the prices start from it. Before paying, read as many testimonials and feedbacks as possible and make sure you know what a particular editor sees as “a unit of work” — for someone it is one page (275 words) for someone 100 words, etc. Fiverr is a rather popular and reliable website where you can find both editors and tutors from all over the world. You can also offer your services there and earn some cash. All these websites are useful and efficient and will help you to improve your academic writing skills and grades. You can use CheapWritingHelp when you need a paper to be written at the highest level of quality, at an affordable price and before the deadline, even if the deadline is only 8 hours away. If you are looking for a professional editor, you can try your chances on Fiverr, but be careful checking the recommendations and be very specific about your deal. Willing to check your paper and get rid of technical omissions? Use Grammarly, preferably its paid version. Don’t want to waste time on in-text and bibliography citations? Use free citation generators. And if you want to make sure your paper is 100% unique, use online plagiarism checkers. All this together will ensure the perfect quality of your academic essays.